The philosophy only rubber suits can teach you. Today I’d like to take a moment to talk with you about the many lessons we have learned growing up watching Sentai shows. What, you don’t know what Sentai means? Doesn’t matter, you probably watched some anyway. Sentai (which literally means “task force” in Japanese) is a genre within Tokusatsu (Japanese live-action productions with lots of special effects, this includes classics like Ultraman and Godzilla). The term is used to describe shows where a group of heroes with superpowers team up to defend their land from evil powers, usually aliens or robots or time travelling mutants. Still don’t remember any Sentai series? It’s OK, but do you remember Power Rangers? Yeah, buddy. Now you know where it comes from. 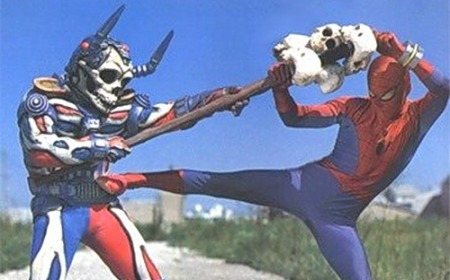 The first sentai team to be called so, Battle Fever J, was built around the idea of using Captain America (yes, that one) after the huge hit that Spiderman’s tokusatsu was. Believe it or not, this existed, and Stan Lee let it happen. When we are kids, some ideas fly over our heads like dry leaves on a windy afternoon. Others get tangled in our heads, much like dry leaves on a windy afternoon as well, if you have long hair. When I was a kid, I loved sentai shows, but I would always root for the bad guys. To me, the main team was pretty… lame. 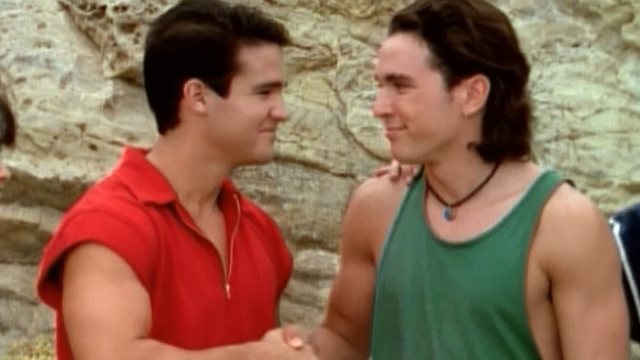 After all, it’s hard to explain to a 6 year old why the Power Rangers needed to work together to defeat a single monster attacking Angel Grove. Come to think about, it wasn’t even fair! They were six guys against a single monster! C’mon! As I got older and wiser, I started to see Sentai shows as a very good metaphor for life. You know, 6 year old me actually hit the nail pretty good: The Rangers were much weaker than their enemies. In life, sometimes we face challenges much bigger than ourselves. Everyone, at some point, had to deal with problems that hit hard, and hit more than once. I know, we don’t really call 5 handsome teenagers to help us -at I least I don’t- but we rely on something else, be it a friend that keeps up with us during a bad day, a doctor trying to cure a disease, or a police officer helping to solve a crime. Much like how the members of a Sentai show can’t solve everything on their own, no matter how strong they are, we end up depending on a lot of people to carry on with life. And keep in mind: That’s not a bad thing. But of course, bromance makes everything better. It would be quite easy for the “monster of the week” to bash on our heroes for having to team up against him, but he never does. Sentai writers wouldn’t attack one of the main pillars of their shows: the idea that teamwork is a good thing and that you can’t solve everything on your own. At the same time, Sentai shows praise individuality. Teams are generally composed of 3-6 members, sometimes taking it up to eleven (literally). However, analyzing any team of heroes reveals that they are very different from each other, and all of them benefit from that. Characters help each other learn and grow, support each other in battle, and take care of each other. Teamwork and diversity are the main reasons why they succeed. In real life, this is a strong call to be yourself and to learn to use your own talents and advantages in life the best you can. If you used to watch Sentai series, or if you still do, you probably thought what would happen if the big bad guys sent a whole squad of evildoers to Earth. After all, if the team had trouble dealing with a dozen of minions and a single monster, a dozen monsters would probably obliterate the city, right? Right. And that’s why it doesn’t happen. Not because the show would end, but because sentais are a celebration of victory itself. They advocate teamwork, trust in your teammates, justice, and willpower. It would be devastating to see all that effort being stomped by a bunch of gorilla gladiators from space and that’s why the writers don’t let it ever happen. Sometimes we’re given solid explanations within the plot, like in Kyoryuger, which was adapted in America by Saban as Power Rangers Dino Charge, where the main bad guy can’t release all of his minions at once because there’s a chance they might start a mutiny and overthrow him, whereas sometimes it simply doesn’t happen. But even if happened, you wouldn’t see a Sentai team flinching. 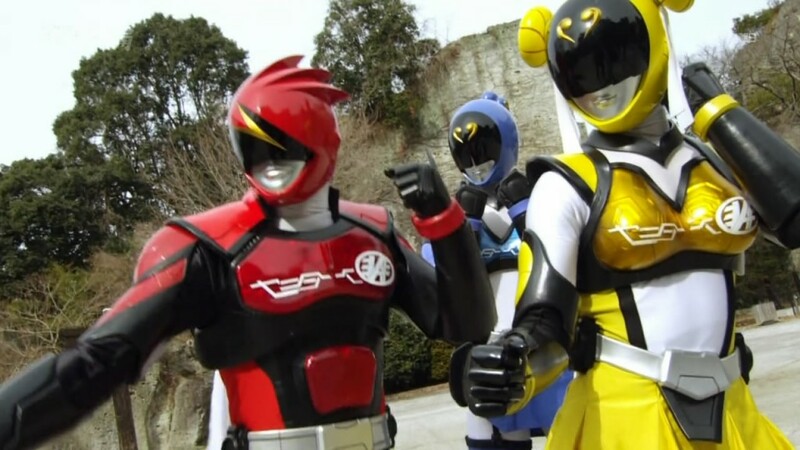 Not because they are arrogant or fearless, but because another thing Sentai taught us is to keep going and never give up. While there is hope, you’ve gotta keep on trying. I wish you could answer your interviewer’s question about whether or not you can work well in a team with: Yes, because I grew up watching [insert Power Rangers or other Super Sentai]! That was one thing that eluded me when I was young: watching the group (often) worked so perfectly and bringing the baddies down and learning about the value of teamwork. I liked that they did it together but I never really thought about it until years after. Also, answering that you identify with the Red member of the sentai means you have leadership skills, which are always nice to show in a job interview! It’s the kind of thing you only think about years later. Next time you watch a Sentai, check the choreography of their fights. You’ve gotta know your teammates really well to pull out that kind of stunts. Fight no as a united team, but as one single entity. Correction. Battle Fever J was the first to be titled “Super Sentai”. The first Sentai was Himitsu Sentai Gorenger, followed by JAKQ, then Battle Fever J.
It’s currently listed as the first Super Sentai.